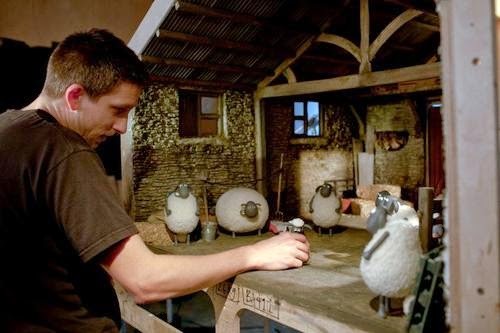 Home / ANIMATED FILMS / FIRST-LOOK PHOTOS / Baa-hind the scenes of Shaun the Sheep: The Movie. Baa-hind the scenes of Shaun the Sheep: The Movie. 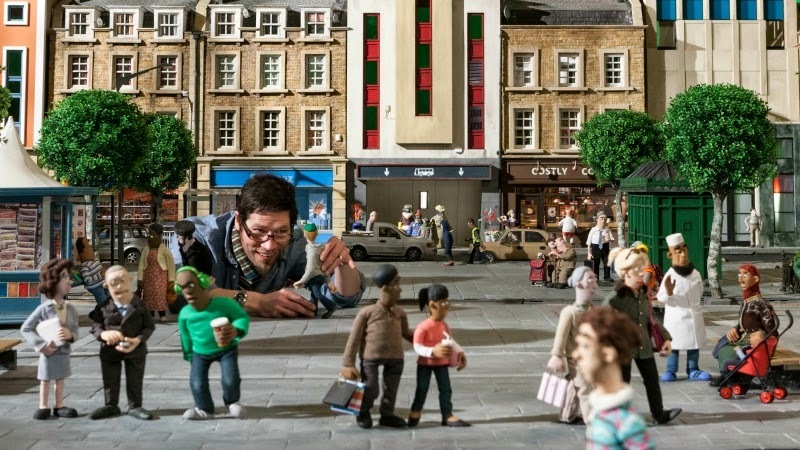 Is Aardman Animations about to have its biggest hit at the box office? 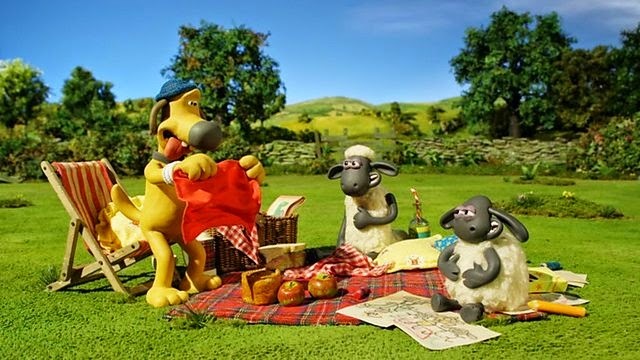 The Bristol-based company behind Wallace and Gromit is quietly hopeful that after several successful but not quite blockbuster-level movies, including Flushed Away and Arthur Christmas, they might have a global franchise on their hands: all thanks to an unassuming sheep called Shaun. 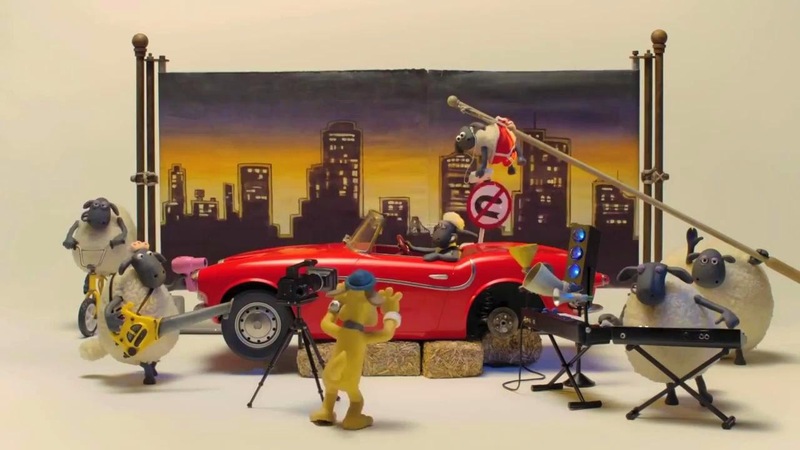 First glimpsed in a small role rescuing Gromit from jail in 1995 short film A Close Shave, the sparky Shaun has since surpassed odd couple Wallace and Gromit to become Aardman’s most commercially successful creation. “Wallace and Gromit have been loved for so long but in terms of sheer international exposure Shaun The Sheep is the most successful,” says Peter Lord who co-founded Aardman Animations with David Sproxton in 1976. Quite so. The TV series chronicling his misadventures, launched in 2007, is a smash in 170 countries. Now he has his own film, Shaun The Sheep Movie, a baa-rnstorming romp (stop-motion animated in the Aardman tradition) brimming with visual invention, brilliantly crafted set-pieces. Co-writer and co-director Mark Burton describes it as “a slapstick comedy without words” and the silent storytelling aspect is certainly one reason the series travels so well, a la Mr Bean. 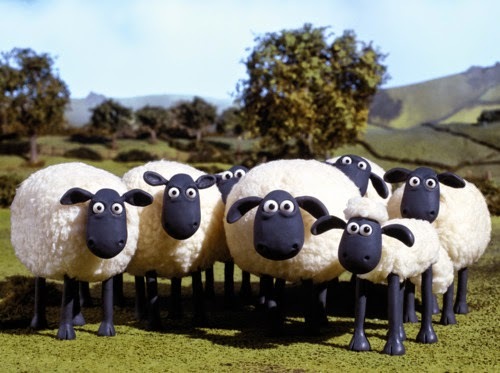 Nevertheless, the decision to make Shaun dialogue free was initially a practical one says Richard Starzak, the Aardman animator who devised the series and co-wrote and co-directed the movie with Burton, whose credits including Aardman’s Chicken Run and Dreamworks’ Madagascar. “The original idea of having no dialogue was actually to make the animation easier because animating dialogue is quite lengthy and expensive,” Starzak said. 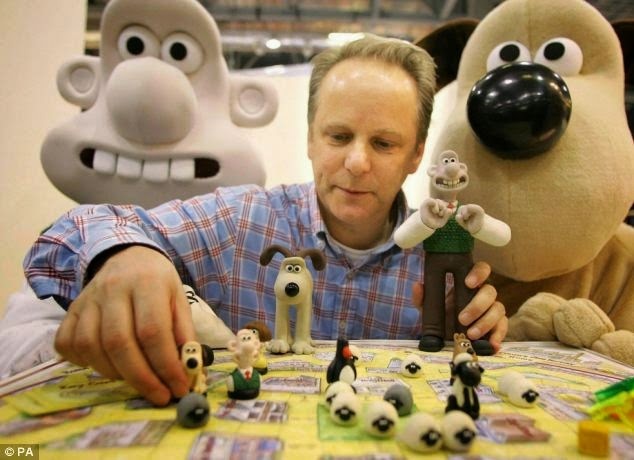 Although the character was conceived by Wallace and Gromit creator Nick Park it was Starzak, an Aardman employee on and off since 1985, who is credited with steering Shaun to international pastures. 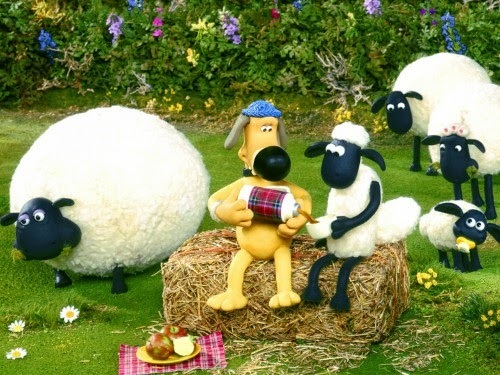 Having originally devised the series as a kind of workplace comedy in which the flock were pitted against their masters, Starzak created more of a family dynamic between the characters with Shaun as the naughty little brother, Bitzer the big bro trying to keep order and the farmer the hapless parent. The question was how to advance from seven-minute episodes to an 80-minute feature film. “It’s very hard to tell a story visually over 90 minutes” says Burton whose background includes writing for TV comedies like Have I Got News For You and Room 101. The idea they hit on combined simplicity, scale and plenty of potential for sheep-out of-water comedy: remove Shaun and pals from the “comfort zone” of the farm and plonk them in a city (called Big City in the film but loosely modelled on Bristol). An unlikely inspiration was 1985 teen classic Ferris Bueller’s Day Off: Shaun plots to take a day off from the farm’s mind-numbing routine but things go awry when the slumbering Farmer freewheels into the city in his caravan. “Ferris Bueller was a big influence because we loved the idea of a character who was ebullient and street smart and changes the world around him,” explains Burton. There’s also an undercurrent of melancholy to the story reminiscent of the Pixar movies as Shaun’s attempt to jazz up his life disguises a sadness at his stale relationship with Farmer. “You need the emotion to make the comedy funny,” says Burton. As an Aardman outsider who works both for the company - he co-scripted the Oscar-winning Wallace And Gromit: Curse Of The Were Rabbit - and Hollywood studios Burton is well placed to comment on the secret behind Aardman’s success. 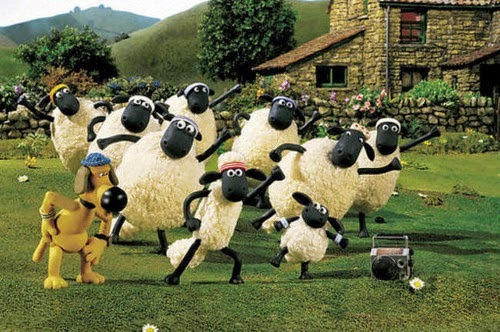 Shaun The Sheep Movie marks Aardman’s break with Hollywood: its previous four movies were made in conjunction with studios Dreamworks and Sony. Shaun is a collaboration with French production and distribution company StudioCanal and Peter Lord says it feels more of a natural fit for the company. “When you make a Hollywood movie there’s always an awareness of the American market rumbling away. That background pressure is just deep in the movie culture. With StudioCanal we’ve enjoyed more freedom. It’s been great,” says Lord. Shaun The Sheep Movie is in cinemas on April 29. Clever bits, sight gags and situational slapstick will appeal to both kids and adults, especially the flock's problems carrying out smart sheep Shaun's elaborate schemes.